I have been involved with two branding exercises with YFU. The first took place in 2012 and included a new brand, revamped logo and website for YFU USA. 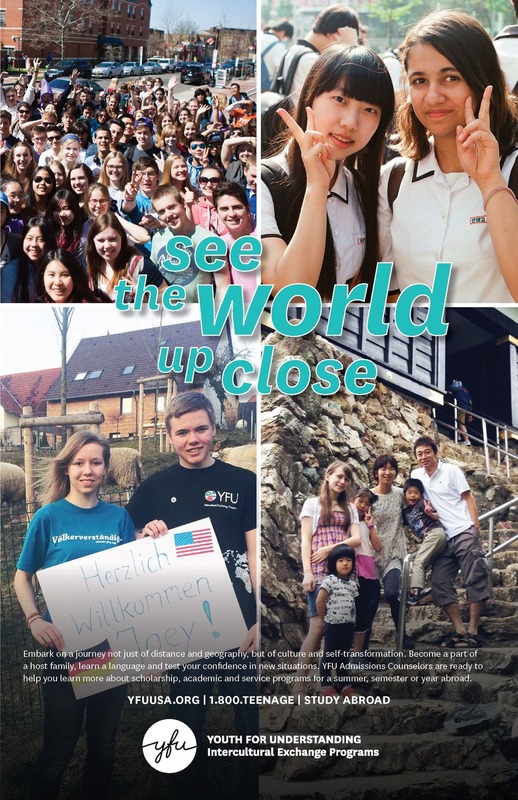 In 2015, YFU worked closely with an advertising firm in Germany to begin to conceptualize a new brand that would be adopted by 70+ countries. I created the purple that was chosen for the final logo and serve as a brand ambassador for the global reach, and designer for YFU USA's materials. Following the global brand standards, I created a Communications Handbook for YFU USA and managed the visual implementation of the global brand for YFU USA.